Habek mint plants are a member of the family Labiatae that are commonly cultivated in the Middle East but can be grown here in USDA hardy zones 5-11. 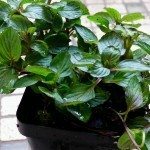 The following habek mint information discusses the growing and uses for habek mint. Habek mint (Mentha longifolia ‘Habak’) crosses with other species of mint easily and, as such, it often doesn’t breed true. It can vary greatly in height, although it tends to be a couple of feet tall. Habek mint has a number of common names. One such name is ‘Bible mint.’ Because the herb is cultivated in the Middle East, this species is thought to be the mint mentioned in the New Testament, hence the name. This hardy perennial minthas pointed, mildly hairy leaves that, when bruised, give off a camphor-like aroma. The flowers are borne on long, mauve colored spikes. Habek mint plants, like all mint, are aggressive spreaders, and unless you wish them to take over, it is best to plant them in pots or otherwise restrain their rampant roaming. This easily grown herb thrives in most soils so long as they are moist. Habek mint prefers sun exposure, although it will grow in partial shade. 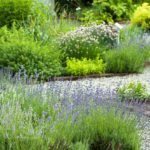 While plants can be started from seed, as mentioned, they may not breed true. The plant is easily propagated by division, however. Once the plant has flowered, cut it back to the ground, which will prevent it from coming back woody. Plants in containers should be divided in the spring. Divide the plant into quarters and replant one quarter back into the container along with fresh soil and organic fertilizer. Habek mint makes a great companion plant grown near cabbagesand tomatoes. The aromatic leaves deter pests that are attracted to these crops. Habek mint plants are employed both medicinally and for culinary uses. The essential oils of habek mint that give the plant its distinctive aroma are used for their medicinal properties. The oil is said to have stimulant anti-asthmatic, antiseptic and antispasmodic properties. A tea is made from the leaves and used for everything from coughs, colds, stomach cramps, and asthma to flatulence, indigestion and headaches. In Africa, parts of the plant are used to treat eye diseases. While the essential oils in the mint can be used as an antiseptic, large doses are toxic. Externally, this mint has been used to treat wounds and swollen glands. Decoctions of the leaves are also used as enemas. In the spring, the tender young leaves are hairless and can be used in cooking in place of spearmint. A common ingredient in both Middle Eastern and Greek foods, the scented leaves are used to flavor a variety of cooked foods and in salads and chutneys. The leaves are also dried or used fresh and steeped into tea. The essential oil from the leaves and flower tops is also used as a flavoring in sweets.